Thanks Doug, I'll give that a shot. Did a couple of small things last Friday. Now it's just a matter of figuring out how to remove that thick layer of glue to get the new letters on there. All that's left now is a minor tear down of the front brake caliper in terms of dirty jobs. 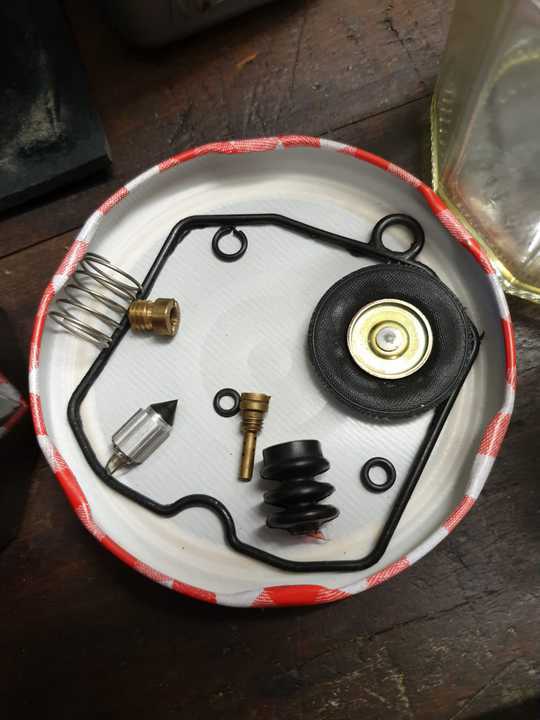 The rest is just putting it back together again. Hopefully it's not too much of a hassle to tune the thing properly now that it has a 1250 kit. 1250? What was the cc before? 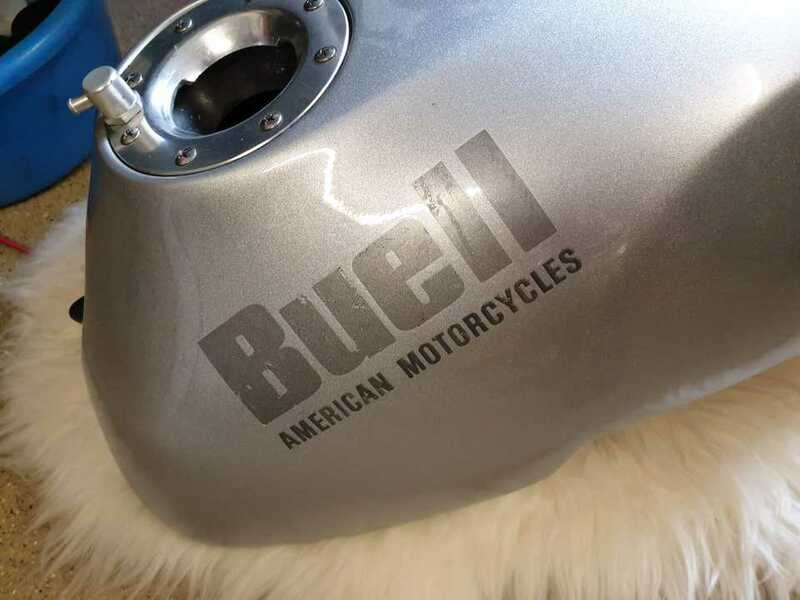 Also, is that the actual gas tank or is the gas on the frame like the other Buell? 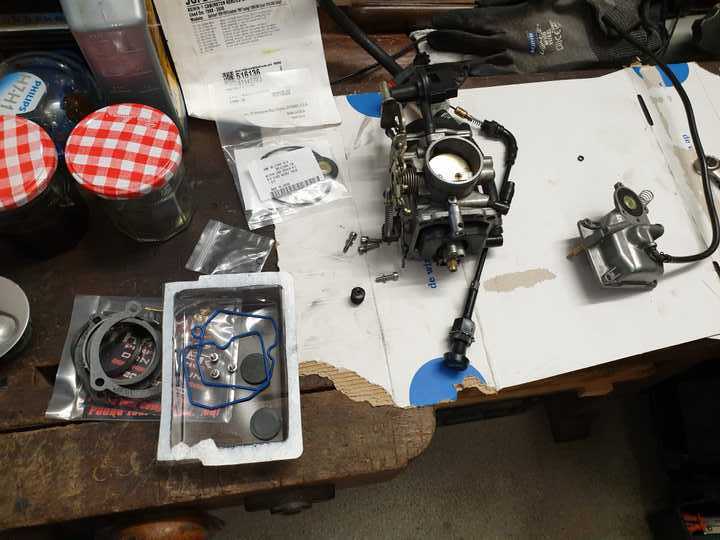 It was 1200 before, which certainly isn't nothing, but the stock cilinders turned out to be shot when we tore down the bike, which was just around the time when Hammer Performance was having a clearance sale on its 1250 kits. At 500 bucks, it was a no brainer. And yes, that's the gas tank. Holds the fuel. There's two kinds of Buells basically, the tube frames and the XB series. 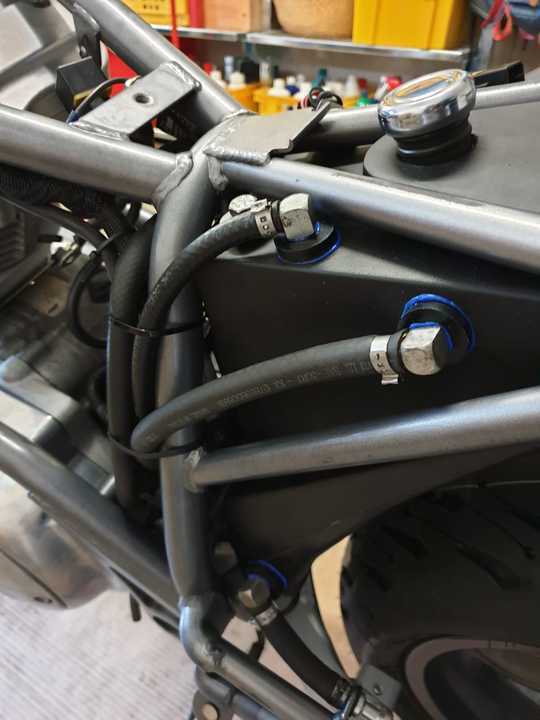 The XB Buells (like Stevey's Firebolt and my Uly) have big aluminum frames that hold the fuel (as well as the oil in the swingarm), while the older, tube frame models (recognizable by their steel trellis frames, like the Ducati Monsters still have), have a traditional fuel tank. Both kinds of Buells aim for a lower centre of gravity. 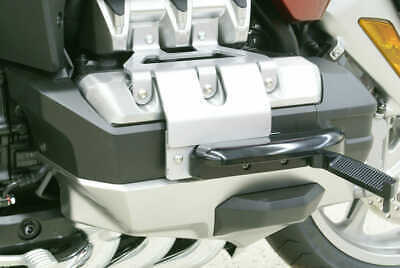 The old steel frames achieve that by having the suspension and exhaust mounted low. 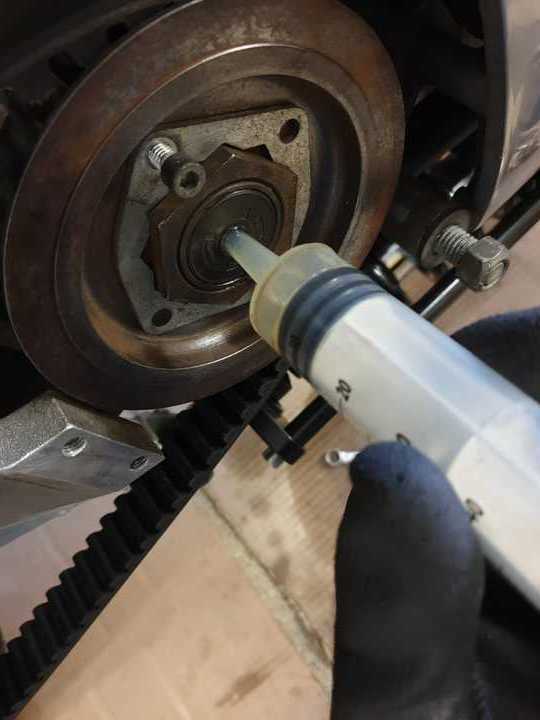 The XB has a more normal suspension placement, but has a lighter frame that holds the oil and the fuel, eliminating two components and lowering the storage of oil/fuel. And it totally works, the XB models have astonishing handling. Looking good Fallout. Looking forward to seeing it all completed. 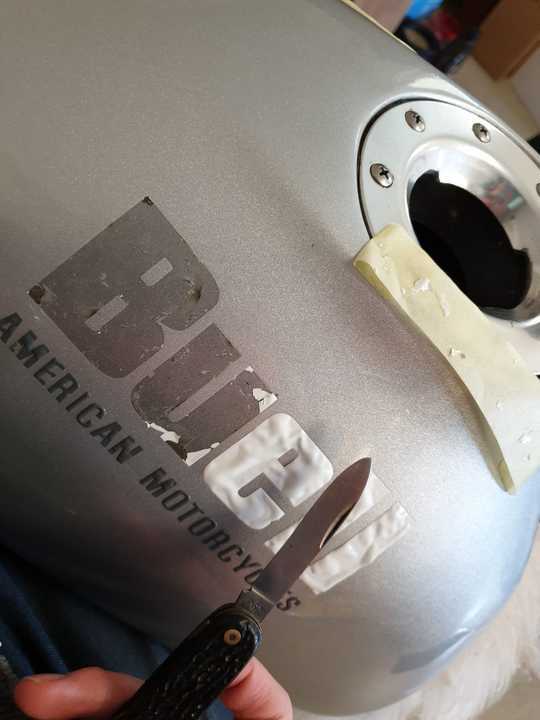 I’m about 150 miles away from getting the R1’s run in service done. In hindsight it’s probably something I should have haggled for the dealer to throw in when made the deal. Nice. I was genuinely curious. Hoping to see the bike once completed! In other related news, went out for a ride today. It was cold but worth it. I'm not a great photographer but here's a pic of my cousin and the SV650. Looks nice, where's that at? Belle Haven Marina off of George Washington Memorial Parkway! Just on the other side of the river there is a nice casino. So, the Valk is definitely uncomfortable to me. I think I'm just a little tall for the bike. I feel a workout on my quadriceps. Surprisingly, it's not the seat. Anyway, I need highway pegs. They make these really, really, really cool highway pegs that go in place of the "Honda" badge on the sides of the engine. However, those bad boys cost $300. They're cool because they're inconspicuous. I can manage for now.